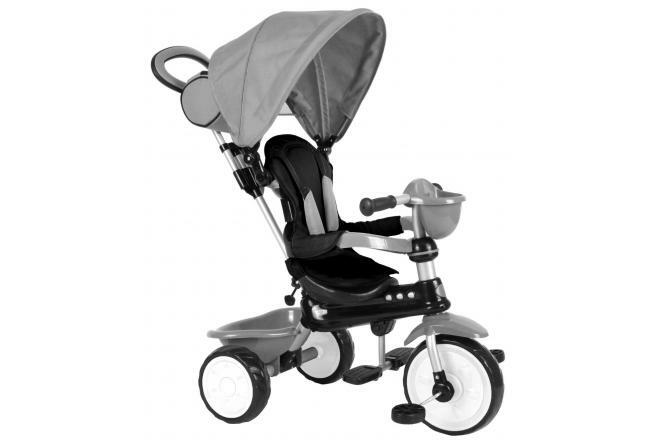 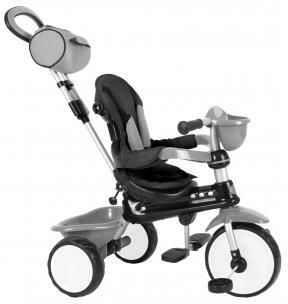 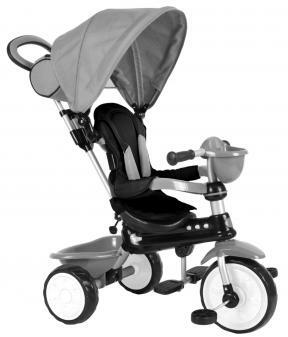 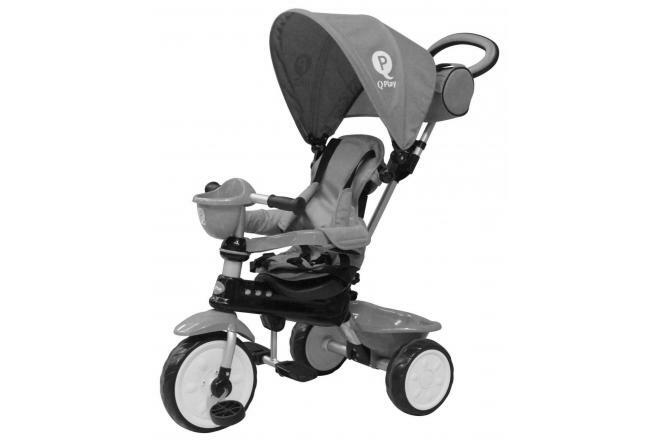 The QPlay Comfort Tricycle is a luxury tricycle, suitable for children from 12 to 36 months. 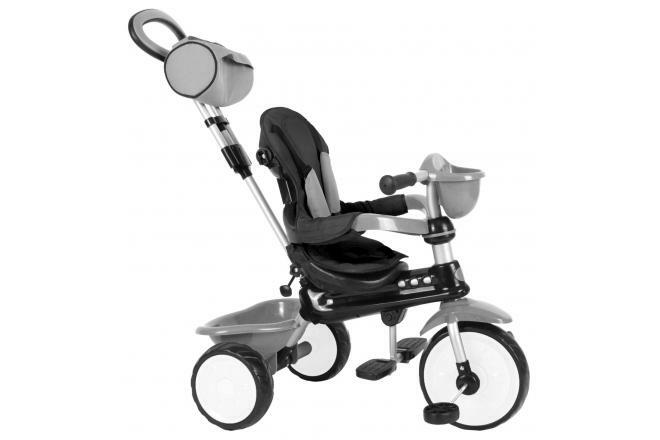 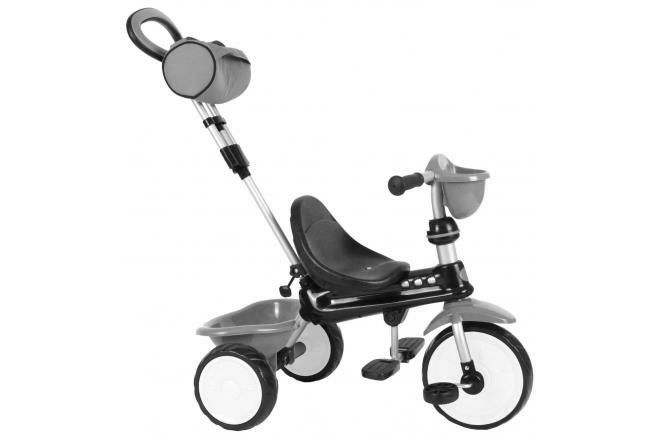 The tricycle is equipped with an adjustable, telescopic push bar with a bag that you can easily guide your child. 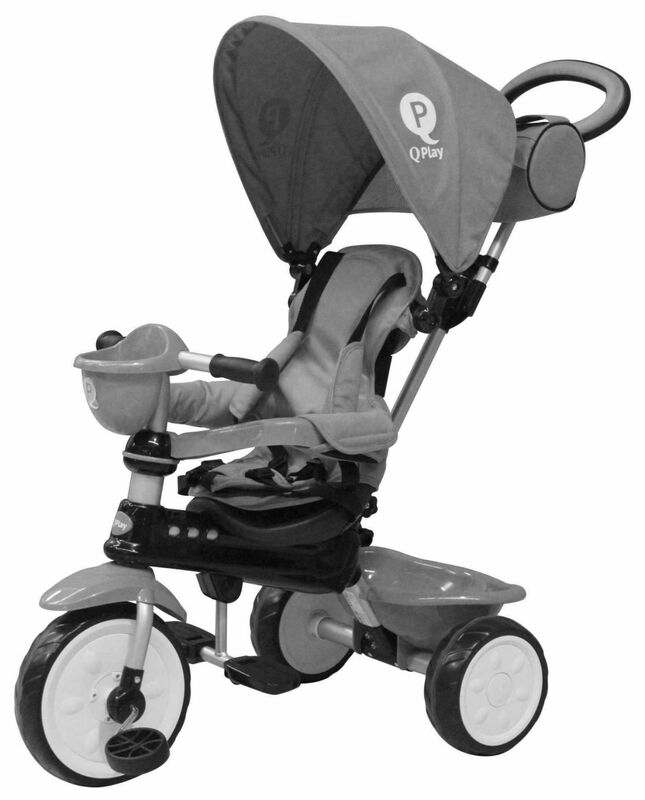 For the safety of your child, the tricycle has safety straps and a detachable safety bar. 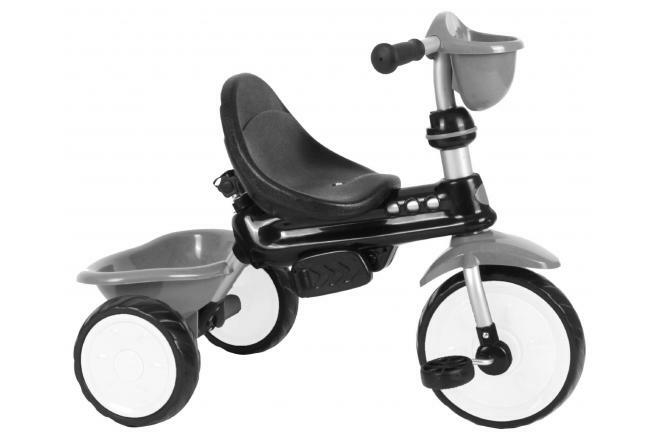 To ensure comfort, the tricycle has a nice soft seat cushion. 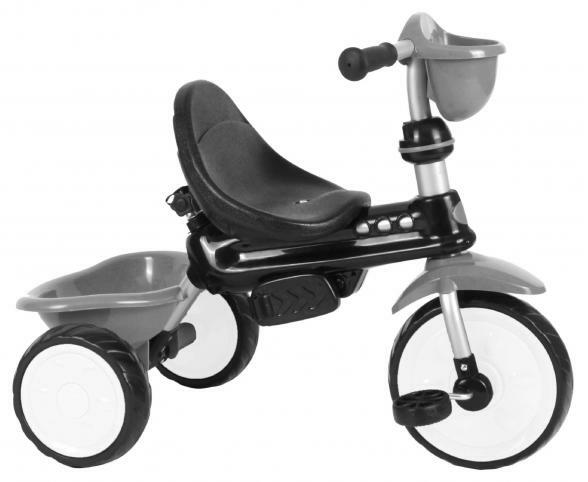 Furthermore, the tricycle has a 10-inch front wheel with adjustable freewheel and two 8-inch rear wheels, a steering wheel for your child to determine the direction, pedals with anti-slip layer so the feet do not slip, folding footrest, a basket for and behind and a foldable / removable hood that can protect your child from the sun and rain. 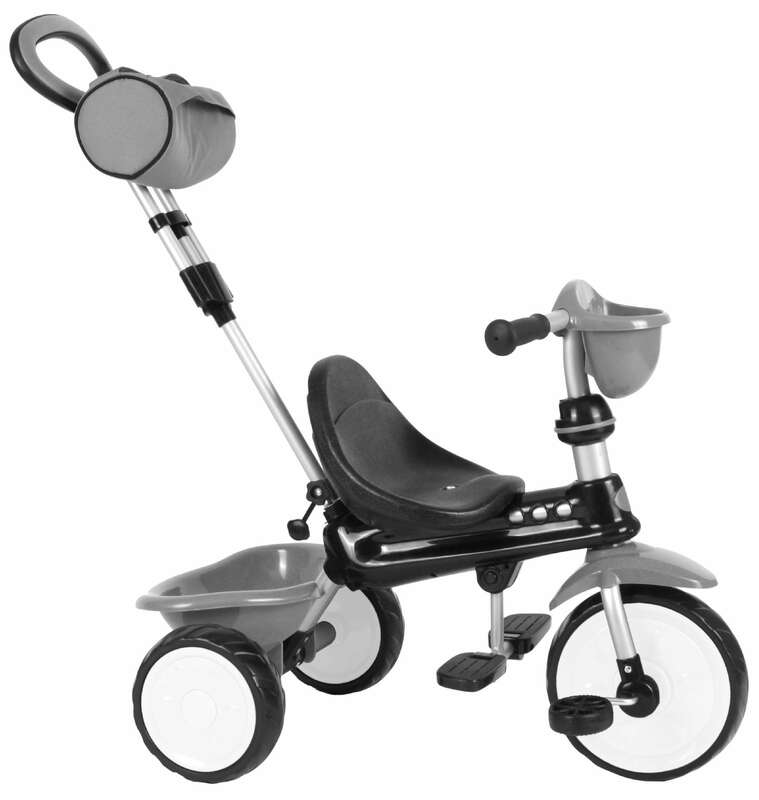 A tricycle of good quality, where both you and your child can have fun with on walking tours!